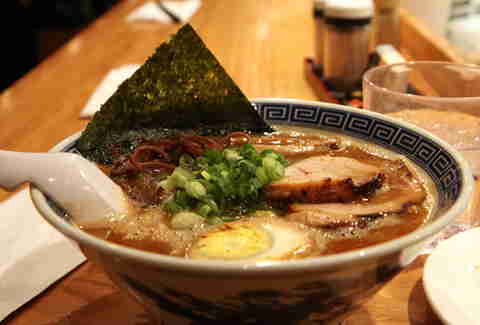 Ramen: it's great. Waiting in line for ramen: not so great. For all the times you want the former, but not the latter, consult this: NYC's eight best under-the-radar ramen options, which don't appear on every single "Best Ramen in NYC" list ever made (so not Ippudo, or Momofuku Noodle Bar, or Ivan Ramen...), but do still deserve your noodle-ttention. 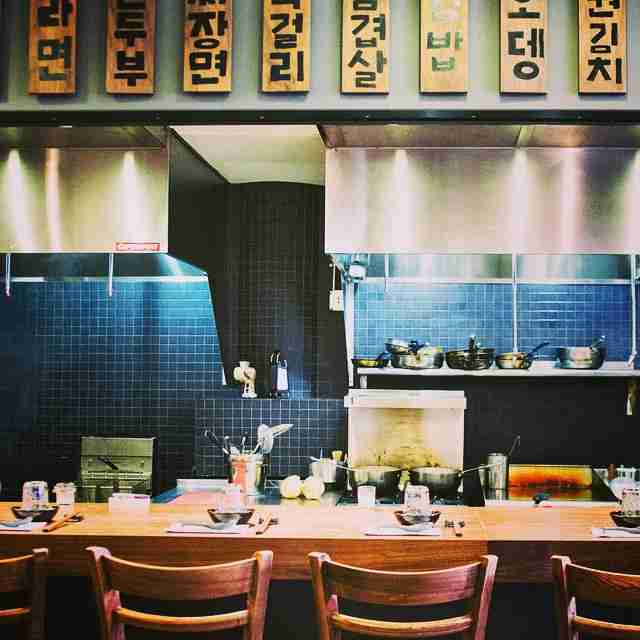 Deep inside Chelsea Market you'll discover this gem of a ramen ya run by Chef Esther, who infuses her Korean roots into amazing (and decidedly unique) bowls of ramen, including her kimchi ramen, which's based off of a popular Korean stew called jjigae. Armed with an intoxicating aroma, the bowl of piping hot broth is filled with kimchi and bacon, and then topped with braised pork and stewed kimchi. Other toppings include a poached egg and rice cakes. If that's not enough to get you excited, you’re weird, but also there’s the perfectly cooked Sun Noodles. The whole thing is addictive -- consider yourself warned. If you're a fan of perpetually packed Minca Ramen Factory (and you should be), then you'll be a fan of its not-nearly-as-perpetually-packed sister spot Kambi Ramen House, too. The only real difference between the two? 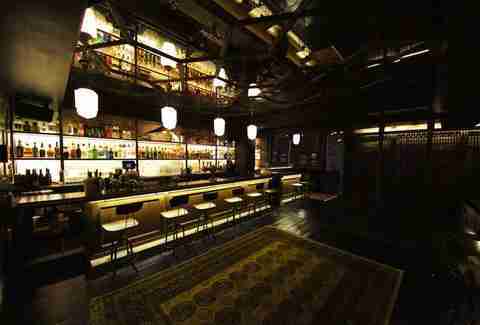 The decor and wait -- Kambi is twice the size of Minca. Make sure to start things off with the pork gyoza and a Sapporo and follow that up with Kambi's tsukemen (dipping noodles). Another solid option: the basic spicy shio ramen, paired with a thick wavy noodle. Pro tip: pay close attention to the ever-changing ramen specials and take a chance on one of the unique creations, it usually pays off. 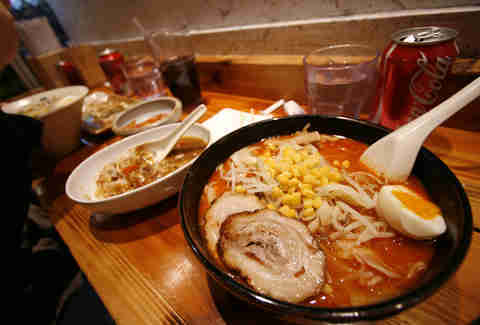 Misoya has one of the biggest bowls of ramen in the city and offers a deep variety of toppings. It specializes in three types of miso -- kome, mame, and shiro -- and its the only ramen ya in NYC that does this. Miso ramens are traditionally served hotter than other ramens and butter is a standard topping to sweeten up the lightly bitter miso flavor. The order here is the shiro miso Kyoto-style with butter, fried shrimp, potato, and egg. 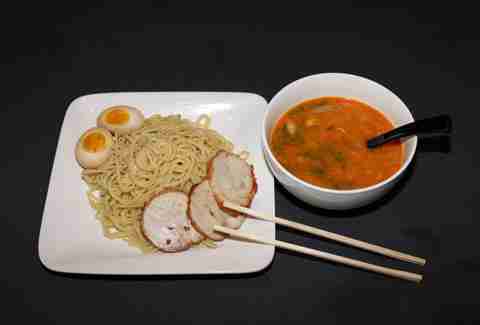 At times, Misoya offers a special miso curry chicken chashu ramen. Get that and add potato, egg, and corn. You're welcome. Just a short walk from Misoya, this spot was around waaaayyyy before the Ramen renaissance we’re currently experiencing was born. 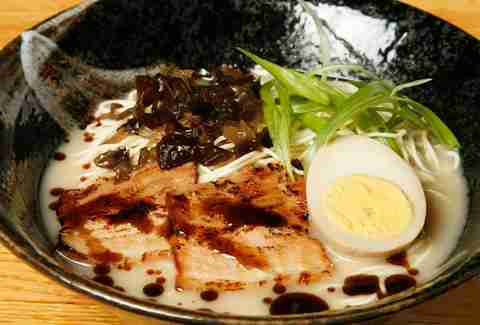 Get the Gekikara Tsukemen with BBQ pork, egg, bamboo shoot, scallion, onion, cabbage, bean sprouts. Warning: the fiery red-looking broth is the real deal, so proceed with caution. Hidden inside what looks like a white West Village townhouse, you'll find a delicious little cash-only ramen ya named... wait for it... Ramen-Ya (don't worry, the ramen is more creative than the name). 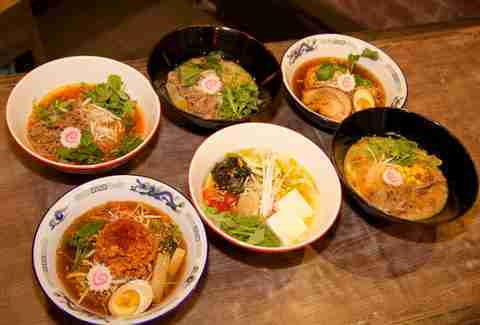 New to the NYC ramen game, this 20-seat joint has wonderful service, offering a small but well rounded selection. Before you slurp, order the spicy pork gyoza, then when you do slurp, make sure it's from a bowl of the kojiro shio black, which'll give you flashbacks to your Bubbie's chicken soup. The black garlic oil is extremely aromatic and sticks to your lips like candy, and if you get the right noodle (wavy, get the wavy) it works perfectly with the thin broth. Bonus: it's open ’til 3am on Fridays and Saturdays. There are two Tabata Noodle ramen yas in the city, but only one you most definitely want to hit up. We're talking about the Tabata behind the Port Authority Bus Terminal. The chef and owner, Maung Htein Linn, is from Burma, and moved to Tokyo after college, where he worked in a ramen ya for years learning the art of broths and noodles. His signature dish, Tabata Ramen, showcases his Burmese heritage with a broth consisting of coconut milk topped with mild spiced chicken stew, cilantro, and red onions. The broth is super creamy and fresh tasting and it won't break your budget, priced at just $10. 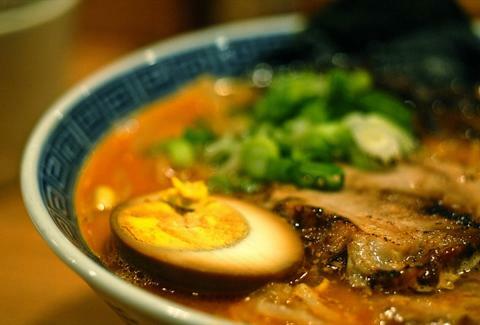 There's really no other bowl of ramen like this in the city, making it a unique experience for ramen hunters. Don’t expect this spot to stay under the radar much longer thanks to its must-order: the spicy chili ramen. If you were to cross ramen with a hearty bowl of slow-cooked chili, 1) you’d be a genius, and 2) you'd have an idea of what this bowl at Mei-Jin tastes like. You'll also find a few uncommon, nontraditional toppings (think arugula and watercress) that somehow work well with the smoky ground beef.